“It’s not what you say, but how you say it.” This statement is proving truer than ever, given the new methods hiring managers are investigating and implementing, to vet candidates at job interviews. Employers are now using voice analysis tools to gain better insights into who they’re interviewing, and how a candidate sounds offers valuable information when determining job fit. 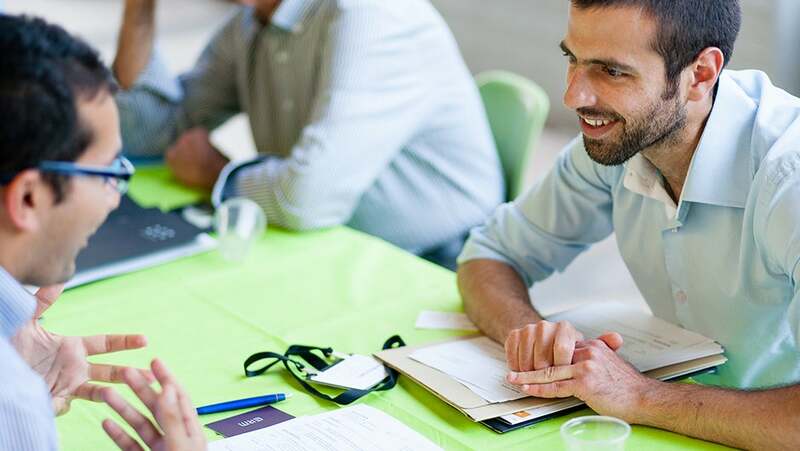 A new study by Nicholas Epley and Juliana Schroeder of the University of Chicago found that hearing what candidates say verbally makes a big impact on how hiring managers rate them. When hypothetical recruiters listened to job candidates’ qualifications, they rated them as more competent than those whose qualifications they read — even when the words were the same. The results showed recruiters liked these candidates more and were more likely to hire them. So, what’s the big difference between hearing a candidate “pitch” to employers and reading a written pitch, like a cover letter? “A person’s speech conveys their fundamental capacity to think — the capacity for reasoning, thoughtfulness and intellect,” Epley stated in the study. Voice profiling tools such as Jobaline takes analysis a step further by aiming to predict the emotion that a candidate’s voice is going to generate within the listener. 1. Conduct a voice analysis on yourself. Voice analytics tools aren’t only available to employers, they’re available to the public in apps. Use an app like Moodies to analyze your own voice. Before meeting with a hiring manager, write a pitch to sell your skills and read it aloud to the app. Moodies will tell you what emotion you convey in 20 seconds. 2. Become familiar with your voice. Read aloud anything you’d normally read silently, to become more comfortable with hearing yourself process verbally. Practice speaking with the emotion and conviction the words call for. Sing your favorite songs aloud — in the car, shower, while doing dishes, or any chance you have. The more you hear yourself, the more you’ll become familiar with the vocal instrument you’re working with. Whether you realize it or not, your voice can be affected by your overall health and well-being. Research in the Wall Street Journal discussed how physical changes in the voice lead to perceptual changes. “Subtle changes in the biomechanical interplay of the throat, tongue, vocal folds and larynx, caused by disease, aging, stroke or injury, can alter the voice in subtle ways that, in turn, can change how listeners respond,” Robert Lee Hotz states in the article. The implications are simple: a healthy body and mind means a healthier voice. Get plenty of sleep, eat healthy foods, and exercise regularly. 4. Work with a mentor or career coach. Though voice technology will be able to give you feedback on how you portray yourself, it can’t talk back to give you tips for improvement. As you practice becoming a better communicator, consult for advice from real people. Choose a mentor or a career coach to work with, as you learn to communicate your thoughts and ideas. Someone who currently works in your field, or coaches job seekers on a regular basis knows what a viable job candidate sounds like and can help guide you. Though researchers still strive to connect how the physical sounds of a voice affect how it’s perceived, there’s no doubt words spoken with specific tones make us feel differently. With some practice and care, you can set your speech up for a successful interview, whether algorithms are analyzing it or not.